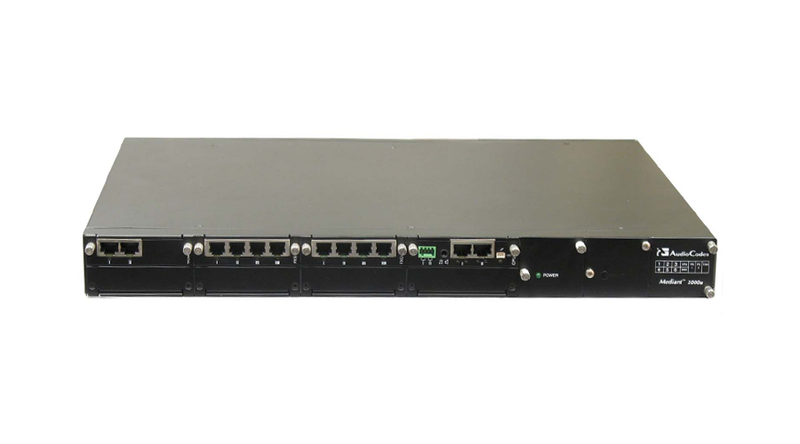 Includes CRMX (CPU) with 3 GE switched LAN ports and 1000Base-T WAN, Single module containing quad E1/T1 spans, single AC power supply, fans, OSN3 (4G RAM) and HDD pre-installed with Microsoft' SBA application. Chassis can be expanded with any Mediant 1000 PSTN modules such as FXS/FXO/BRI or T1/E1. Product does not include RS-232 cable (part #M1K-RS232) which is used to access the CLI for serial communication.